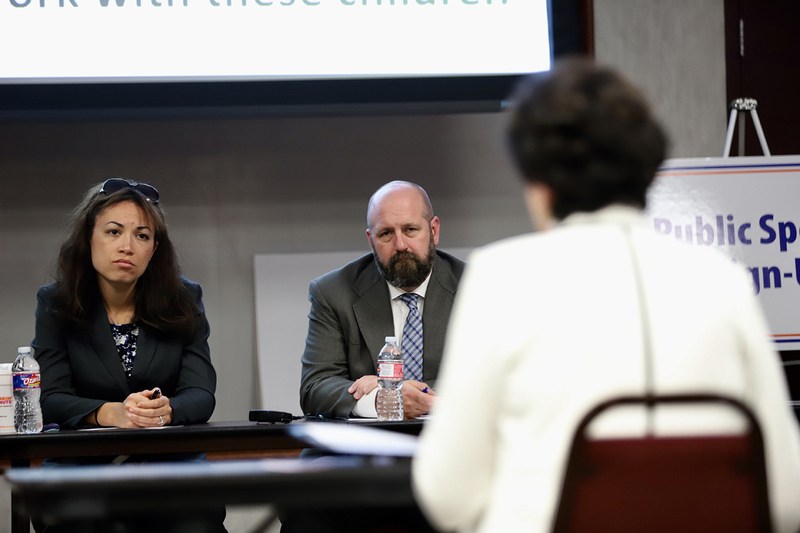 A Texas Education Agency plan requires school districts to find and serve the large number of students who may have been left out of special education for years. School administrators say they're at a loss for how to pay for that with no requisite increase in state funding. RICHARDSON — Jaculyn Zigtema, a special education director in Whitehouse ISD in East Texas, told state education officials Monday that she planned to hire two diagnosticians, four teachers and two behavioral specialists to handle an anticipated spike in students considered eligible for special education. More than a hundred miles from her school district, Zigtema joined parents and administrators at a public hearing to ask a question repeated many times: How exactly are schools expected to handle that cost? "We are going to be identifying a lot of students with no projected funds we can count on," she said. After a U.S. Department of Education investigation concluded earlier this year that Texas had not provided kids with disabilities the services they need to learn, the Texas Education Agency promised to shape up and released a 42-page plan that in part held school districts accountable for finding and helping the thousands of students who had been left out of special education for years. The TEA made it clear that it has little financial leeway to implement its plan, which also lays out proposals to create a monitoring team to regularly check up on school districts and to build a call center to help parents navigate the complicated process of figuring out if their kids qualify for special education. School administrators have said they view this plan as an unfunded mandate. "Directing districts to use existing appropriations for a plan such as this means services will be cut in other areas," read a release from the Texas Council of Administrators of Special Education, which represents more than 1,000 administrators. The majority of the TEA's plan will be funded through discretionary federal funds provided to states for special education. An additional $65 million will be provided to school districts to find and serve students who have been denied needed special education services over the years. But $65 million divided by all the school districts that need it "is not enough," said Gena Koster, executive director of special education in Keller ISD, northwest of Dallas. 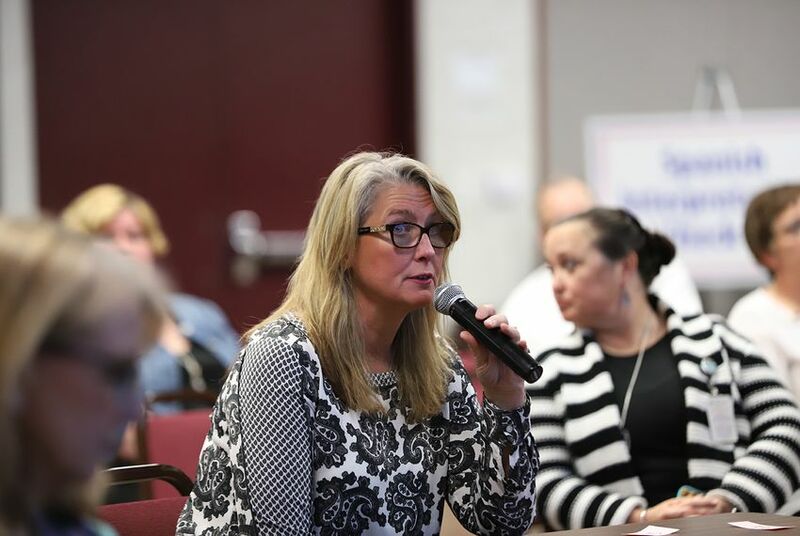 With limited additional resources provided and a likely increase in students to help, administrators and teachers are risking the quality of special education, especially for students who have severe disabilities, she said. "The plan is going to have a significant amount of negative impact on current special education students," Koster said. "It's going to affect the way I'm able to serve my very disabled students in special education, and I need to make sure we're all very aware of that." Two TEA officials — Justin Porter, executive director of special populations, and Penny Schwinn, deputy commissioner of academics — sat silently in the front of the room, taking in the feedback. Agency staff will accept public comment through noon Wednesday and submit a finalized plan to the federal government by April 23. Correction: An earlier version of this article incorrectly named the date the TEA will send a finalized plan to the federal government.